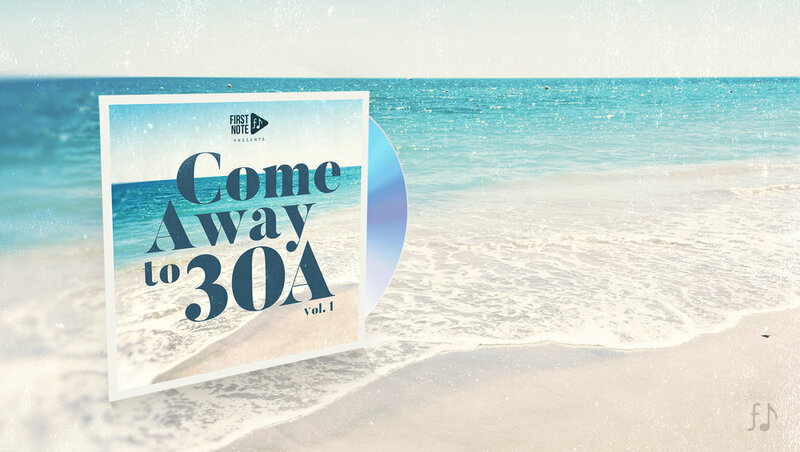 First Note Entertainment has released an album celebrating the people and places of Highway 30A called Come Away to 30A. Released exclusively to the platform First Note Play, this new compilation album features local 30A artists and songs they wrote about the area so many people from all over hold so dear to their heart. Jamie Kent releases All American Mutt! Today is the day!! First Note artist Jamie Kent's highly anticipated new album All American Mutt is now available! The album was recently acclaimed by Rolling Stone and Jamie was named best Homegrown artist of the year by the Nashville Scene. Jamie has been stacking up viral video views this week on Facebook and to say the least we're very excited about this one. It's available exclusively from First Note Play at jamiekent.com. And here's the thing! If we all join forces we can make this big moment even bigger. To make an impact on the Billboard top charts we all must order a copy of All American Mutt at the same time. So let's do this- Join the movement and order your copy today! If we can send All American Mutt up the charts and make waves on a National level it will be huge for Jamie and all First Note and 30A artists. Get your copy today and help us break the charts! Available only at jamiekent.com and firstnoteplay.com/jamiekent. Don't miss a special album release night with Jamie Kent and the First Note family!